Toronto, Ont. – The Canadian Hockey League announced the week seven edition of the Kia CHL Top-10 Rankings for the 2018-19 season. The weekly rankings of the CHL’s Top-10 teams are selected by a panel of National Hockey League scouts. 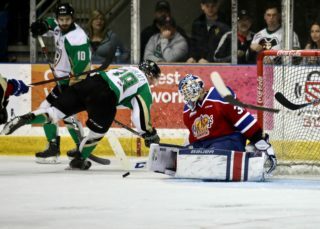 The Prince Albert Raiders remained the toast of the entire CHL, earning the top spot for a third straight week. 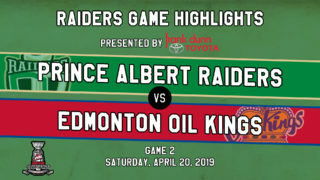 The Raiders’ week began with a 4-2 victory against the Moose Jaw Warriors Wednesday, then continued with a 6-2 win at home against the Regina Pats Saturday, pushing their winning streak to eight games. A pair of Raiders were rewarded for their strong starts to the season as WHL leading scorer Brett Leason was named the WHL McSweeney’s Player of the Month and goaltender Ian Scott (Toronto Maple Leafs) was named the WHL Vaughn Goaltender of the Month Wednesday. 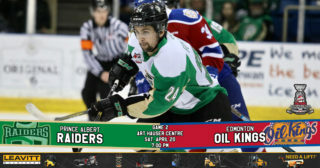 The Raiders are back in action Friday, November 2 (7:00 p.m. MT) when they host the Kootenay ICE. Tickets for Friday’s game are available here. Also factoring into this week’s Kia CHL Top 10 Rankings were the Vancouver Giants, who occupied the sixth spot. 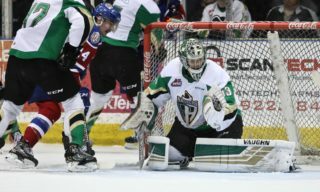 After a loss to the Seattle Thunderbirds Saturday at home, the Giants responded with a 3-2 shootout victory against the Brandon Wheat Kings Sunday. 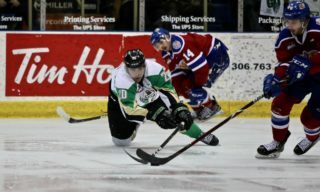 Giants backup Trent Miner has provided solid goaltending for the Giants when called upon, earning the victory Sunday. In six games this season, Miner has a 4-0-1-0 record while maintaining a 1.41 goals-against-average and a 0.953 save percentage along with one shutout. The Western Conference-leading Giants are next in action on Saturday, November 3 (7:00 p.m. PT), playing host to the Kamloops Blazers. Both the Giants and Blazers will play also host to the first two games of the 2018 CIBC Canada Russia Series next week, starting Monday at the Sandman Centre in Kamloops, B.C. and continuing to the Langley Events Centre Tuesday. Right behind the Giants in the B.C. Division standings and right behind them in the seven spot in the Kia CHL Top 10 Rankings were the Victoria Royals. The Royals are 9-3-0-0 on the season after scoring a 3-1 victory over the visiting Wheat Kings Saturday. Forward Kaid Oliver scored twice in the game, giving him a team-leading nine goals and 16 points this season. The Royals are on the road this weekend for a pair of games against the Portland Winterhawks, beginning Friday, November 2 (7:00 p.m. PT) at the Moda Centre. The fourth and final WHL team to grace the Kia CHL Top 10 Rankings this week were the Red Deer Rebels, who made their debut in spot 10 this week. After beginning their week with a 4-1 loss to the Medicine Hat Tigers, the Rebels reeled off a 4-3 overtime victory against the Saskatoon Blades and an 8-5 win against the Kootenay ICE. Rebels defenceman Alexander Alexeyev (Washington Capitals) was particularly effective, recording eight points (3G-5A) to earn WHL On the Run Player of the Week honours. Now ranked first in the Central Division, the Rebels are back in action Saturday, November 3 (1:30 p.m. MT), taking on the Calgary Hitmen.